On today’s show, I am interviewing Anthea, who is just a total rockstar in the home staging industry. She is one of my favorite people, and it’s been incredible to watch her business grow since we both started our businesses around the same time. On today’s show, we talked a lot about everything, the growth in the real estate industry, the real estate market in Nashville, how Anthea got started in the home staging industry, staging Airbnbs, differentiating yourself from other stagers in the market place and building multiple streams of income as a home stager. So a lot of juicy info today. In the beginning, we also chatted about my updates, that I am now living in London and learning the real estate market here. And we talked a little bit about real estate in Paris as well. So a lot of fun details on the show today. For those of you who don’t know who Anthea is, After several years as a real estate agent, Anthea Click realized the need for staging in her local market. It was over 10 years ago when Anthea and her husband, Cory, started FP Staging and Design in Nashville, TN. With nothing more than an idea, a willingness to work, and the guts to go for it, together they have built the company from their garage to a 14,000 sq ft facility with multiple streams of income. Through her experience with the ups and downs of being a small business owner Anthea has a passion to give back to the home staging industry by helping others obtain their own success. 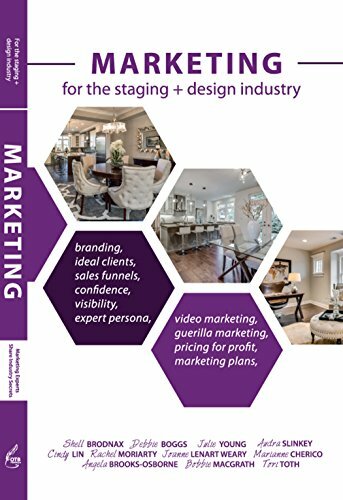 After several years as a real estate agent, Anthea Click realized the need for staging in her local market. It was over 10 years ago when Anthea and her husband, Cory, started FP Staging and Design in Nashville, TN. With nothing more than an idea, a willingness to work, and the guts to go for it, together they have built the company from their garage to a 14,000 sq ft facility with multiple streams of income. Through her experience with the ups and downs of being a small business owner Anthea has a passion to give back to the home staging industry by helping others obtain their own success.